I spent my Sunday in Kensington Market and had such a lovely day. Each time I am in the area I make sure I go down to Kid Icarus. Kid Icarus is a screen-printing shop in Toronto that has now turned into a full fledged gifts and stationary shop as well. They also offer screen printing workshops in Toronto. I took a class while I was in my undergrad and the owner of kid Icarus had come to give us screen printing lessons for only $10 or something that was really cheap. I am so glad that I took the class and got to know this lovely establishment. It has gone from being a tiny little store on Nassau to a nice large apace on Augusta. 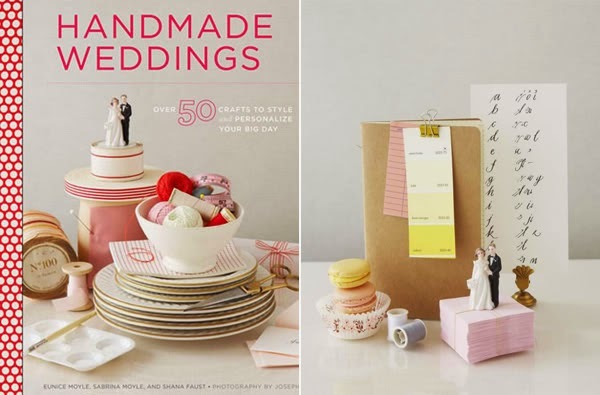 As I walked around the charming little store (while I tried really hard to not touch things, and even harder to not buy too much) I came across a book titled ‘handmade weddings.’ And I fought all my might to not purchase it. I love handmade (obviously) and know that if I ever get married I will be taking the handmade route for sure. I can’t wait to plan, organize, create and finally put together such an event. All that crafting will be so lovely! If there is one thing you should know about me, it’s that I absolutely love weddings. I love the celebration of love anytime and weddings are always such great events where everyone is happy, celebrating and loving. Also love putting events together and planning to the tiniest details. I love planning any type of event really. The biggest challenges are always budget, time and the most important, communication. After taking an event planning course during my public relations program in Toronto, I realize that communication is key. Although events and planning are one of my favorite things to do, many people find event planning a very daunting task. I think that may be because they are afraid of things getting messed up badly. Things getting messed up come with the territory; that’s for sure. However, you must learn to deal with these types of hiccups. You have to learn to improvise when it comes to an unplanned issue. The more important thing to remember though is to always be prepared, make sure everyone can communicate to one another and know the plans. Communication is very important when it comes to event planning and it is the best way to keep it from going towards the wrong direction. This is can fall under anything, communicate, make sure you know what is going on all the time, make sure everyone involved has an event roll out, knows what is going on and does not have to search through several people to find one answer. You have to make sure that everyone is on the same page, they know what the back up plan is and that there is always someone who communicating constantly to all members of a team, or even a wedding party. All members knowing all the same answers makes it hard to things to not go in all directions if one thing goes wrong. I recently attending a wedding where there were a few hiccups in the background, but at the end we had many compliments of how organized the event was. This was a great thing to hear because we knew we did our job and organized everything prior to the big day. We all had the same plan, everyone in the party knew what was going on and everyone was able to gather together for a pre-event meeting. This got us to talk everything out with everyone so that all questions could be addressed at once. We also assigned duties to certain people and that way those who were in charge were always the ones to go to. I could probably go on about weddings, which I do plan to soon. But this post was mainly about the importance of communication and organization for events. It can be applied to parties, workshops, events, street markets and more. Keep communications and a communication plan in mind at a top priority!